In the continued hunt for small projects to work on in the summer months. 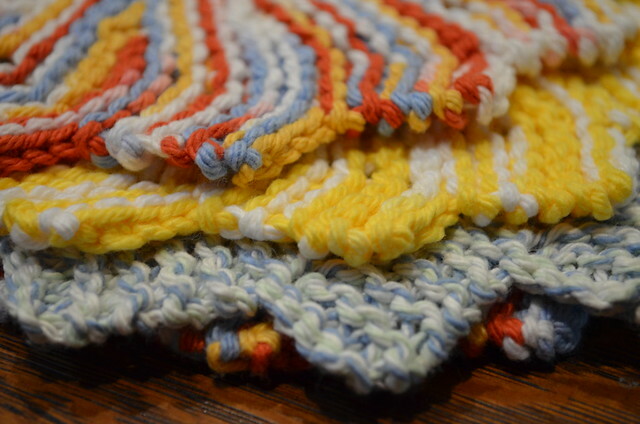 I ran across another dishcloth pattern….and this one is knitted and super fast! It uses under 1 oz. of yarn. So 2 out of 1 ball of cotton. Sweet! 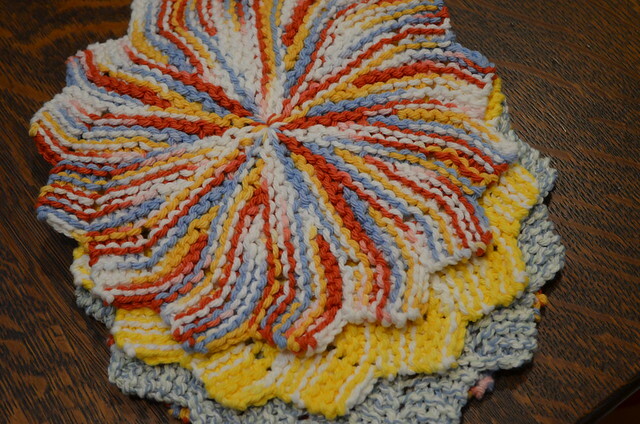 And it makes variegated yarn pretty. There were new skills to be practiced in this little project. The Kitchener Stitch. I have used it before, but when I don’t use things regularly I forget them. So I found a little reminder that was super clear & worked! I think my dishcloth run has come to an end for now. I have given several, kept a few, and a have a nice little stack for future giving opportunities. The weather has started to feel fall-like in the past couple of weeks. So I think a couple of those sweaters that have been hibernating need to come out and be finished. These are so pretty. 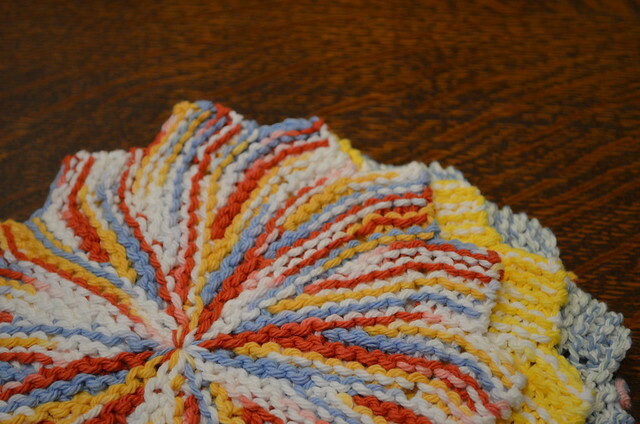 I can never bring myself to use handmade dishcloths!